Placement of various types of WiFi antenna inside or outside the house for maximum signal transmission and reception. Everything you need to know. In the last post, I explained most common WiFi antennas that are used with WiFi router and WiFi adapters. 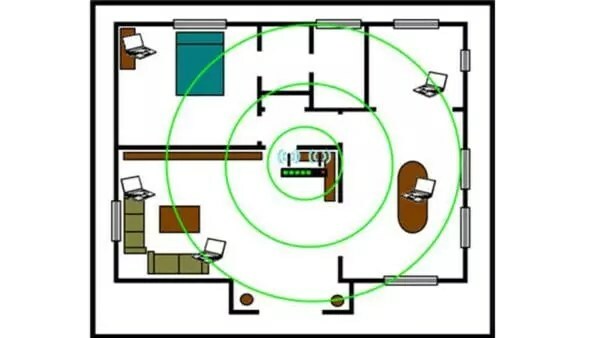 In this post, I will explain WiFi antenna position as well as WiFi antenna Placement for effective and fast WiFi Signal transmission and reception and increase WiFi range. 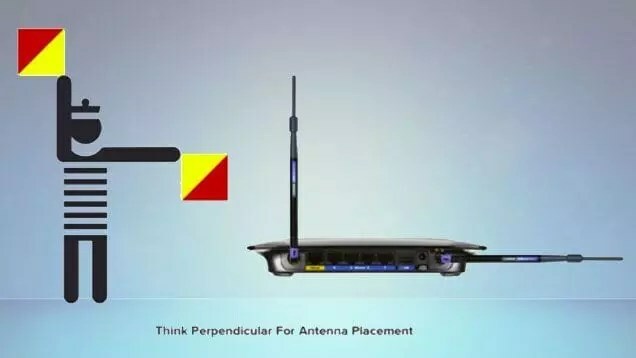 I will also explain best WiFi Router Position, WiFi Router Antenna Position and how to Point WiFi antenna for maximum WiFi range and maximum speed. The WiFi signals are basically radio waves, that’s the same as the electromagnetic waves from your cell phone or radio. But unlike these waves, WiFi signal is really short – they’re usually only twelve centimeters long when compared to that of AM waves which are hundreds of meters long whose signal will get weaker as they get further from the source and generally it cannot get more than one hundred and fifty feet from a source. Check out the Video below if you dont like reading. WiFi signal gets absorbed and blocked by walls and metallic surfaces and so the WiFi router antenna position makes a huge difference in the WiFi speed and how strong the WiFi signal is throughout your house. Before going through WiFi antenna position, let us talk a little bit about different types of WiFi Antennas. WiFi Antennas are of various types. mni Directional WiFi Antennas emits electromagnetic waves equally in all direction. Semi-directional antennas emit radio waves in particular pattern and direction antennas transmit energy in a particular direction only. They are commonly used in WiFi Routers and WiFi Adapters. Indoor WiFi antennas are usually small and compact antennas, generally used as WiFi router antennas, Mobile Phones, Laptops and low powered USB WiFi Adapters. These antennas have very low power gain (generally 2dBi-9dBi) and are designed for internal uses. Outdoor WiFi antennas are a designed for long range transmission and reception purposes. They are usually mounted on the rooftop and can transmit or receive radio waves to very long distances. They have very high power gain and are usually weatherproof that are designed for external use. You might be having the worlds best WiFi Router in the world; but if it is not optimized, you will be getting very pathetic results such as poor WiFi range, low speed internet etc. The WiFi routers does its work best only when all the parameters such as WiFi antenna position, WiFi antenna pointing, WiFi router position, WiFi security and WiFi antenna orientation orientation is done correctly. Wait… WiFi security? Yes. WiFi security affects the through put. I will explain that to you in a second. Some of the most common questions that come to our mind when we install a WiFi router in our home – How to position and place WiFi antenna for maximum coverage? Where to position WiFi Router in your home? Which the best WiFi antenna orientation for maximum coverage? Which is the best WiFi router antenna position in your home? Before going through the answers, you should know how the EM waves are radiated through the antenna. WiFi router antenna position plays a crucial role in the speed off the and the range of the WiFi signal. There are various types of WiFi routers available in the market. Some have single antenna some have Double antenna and there are some WiFi routers that have 8 antennas. so what should be the WiFi router antenna position for getting faster WiFinetwork that will spread across our house. what should be the WiFi router antenna position for maximum range for better signal reception. Most of the Home routers antennas have omni directional antennas that (as explained in my previous post) emits radiations equally in a single plane. This is what it means. The direction of radiation emitted will be perpendicular to the direction you point the antenna. That means, If your WiFi router antenna position is vertical, it will emit radiation in a horizontal plane. If you are pointing WiFi antenna horizontally, waves will be emitted vertically. Most of the Home WiFi router will have 1, 2 or 3 WiFi antennas, and just like a TV, it matches which way you point the antenna. If you point it in the wrong way, you will have less signal strength and less WiFi speed. If you point all of you antenna straight up, the WiFi Router will be radiating the whole signal in a single direction. So for home WiFi routers with two WiFi antennas, it is always best to point one antenna horizontal and the other one vertical. This way we can cover both vertical and horizontal space in our house. Another advantage of pointing WiFi antennas in this position is based on polarization. It is observed that maximum signal can be received when the transmitter and receiving devices have the same polarization. Polarization depends up on the WiFi antenna Placement of the device which will be different for different devices; some will be horizontal and some will be vertical. By pointing WiFi antennas perpendicularly, we can match the polarization in both devices no matter which position the device is kept. Let talk a bit simpler. Most WiFi routers have two WiFi antennas on them and ideally, you could point one of them vertically and one horizontally. 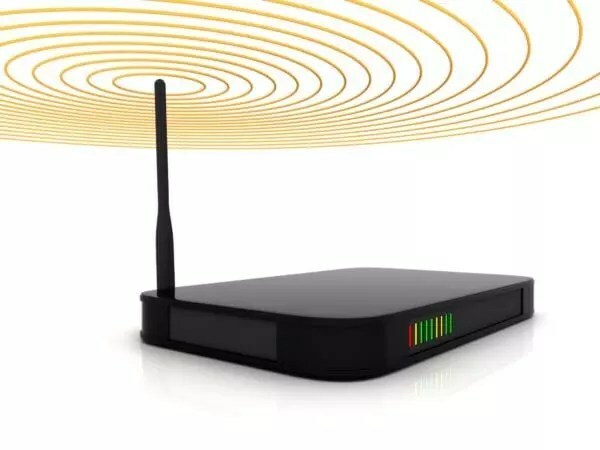 Transmission and reception of WiFi signal will be faster when internal antennas of client devices such as laptops, mobile phones are parallel to the router’s antenna. So if you keep one horizontal and the other vertical, there is more chance of aligning the client antenna with at least one of the router antenna and having a parallel match. And about WiFi security, for the best performance, I suggest you go with the WPA2 + AES. If you use any other protocol other than this, the WiFi speed of the entire network will go down. If you are using old encryption like TKIP or WEP, I suggest you move your WiFi security to WPA2 + AES. This will significantly boost WiFi speed. Now that you know how the waves are radiated, let us position the WiFi router somewhere we would get maximum WiFi range. As mentioned in my previous post, the maximum distance an antenna can cover (transmit or receive) depends upon the power gain of the antenna, which will be constant for a particular antenna. Most common home routers have a power gain of 5dBi-9dBi which is enough to cover a medium sized house if placed correctly. One thing you wanna do is put your router at the center of your house because it broadcast the signal out in equal strength in all direction. If possible, it’s always a good idea to put your router in a room in which the antenna of the router is in direct line of sight the from whatever position your device is. This will help in the transmission WiFi Signal around the home with less dissipation. It is always a good practice to keep your router at the center of the of the house rather than a corner So that it can cover maximum horizontal radius. 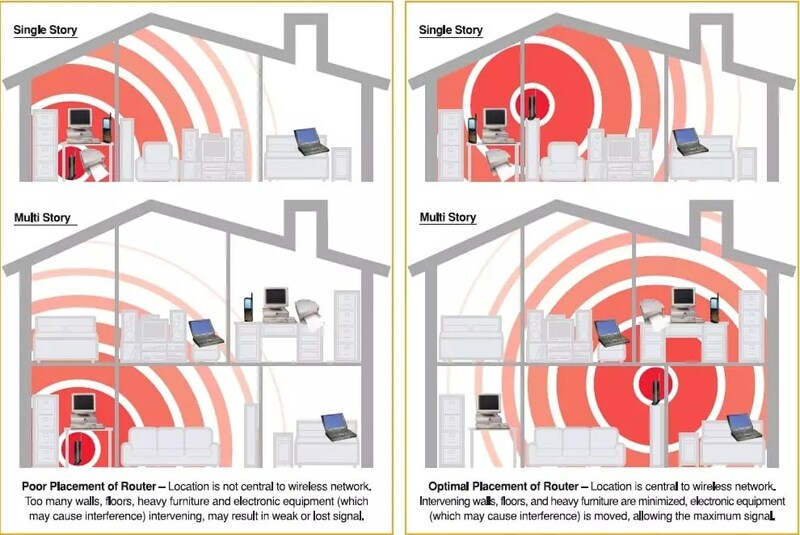 If it is a multistory building, the router should be placed somewhere in between the first floor and the second floor for covering maximum vertical range, like the ceiling of the ground floor or somewhere near the floor of the first floor. You should also lift your router off the ground for maximum WiFi range because most WiFi signal can’t penetrate some of the materials that make up floors like a metal or concrete cement. Also, the way most routers are designed is they broadcast the signal slightly downwards. That way you are projecting some of its waves down into your basement. So to get maximum WiFi range, and reduce dissipation of the WiFi Signal, it’s always better to elevate the position of the WiFi router in your home. Another thing to be taken care of is the electronic devices around your router. A lot of electronic devices can interfere with the WiFi signal – things like TVs, computers, microwaves, pretty much anything that has a motor inside it. So you want to keep the router away from other electronic devices. To increase WiFi range, we could use USB WiFi receivers. The use of receiving antenna (USB WiFi Adapters) depends upon whether the station is portable or not. If it is portable, it is better to use an omnidirectional WiFi antenna that has the same polarisation as that of the transmitter (Router). If it is not portable, it is better to use a directional antenna, such as a mini panel antenna or cantenna that is pointed to the access point. Some of the WiFi routers allow you to change the antenna that is available; generally, the old routers have the antenna removal option. Usually, the WiFi router antennas provided by the manufacturer will be having 2 dbi or 3 dbi power gain, which is very low when compared to the currently available antenna. So if your router does support the removable antenna, you can get a higher gain antenna like a 5dbi or a 7 dbi. That will significantly increase WiFi range. Here is a list of External WiFi Antennas that will significantly increase your WiFi Speed and boost your WiFi Range. These are some of the ways by which you can optimize WiFi network. If you find that your WiFi network isn’t working well or you are not getting WiFi signal when you are still in WiFi range, you can just go around and measure your WiFi signal strength. There’s a lot of different apps so you can download on your phone. You could create a rough map and figure out what you need to fix it. WiFi Antenna Position and Placement | WiFi Range and Direction Overall rating: 4.4 out of 5 based on 36 reviews. As a novice, I found this is a very clear explination of WiFi router antenna(s) function and optimization. Only set back was the background music’s constant beat that kept distracting my focus. But still, thank you for the education!